Here are some photographs of bonsai. 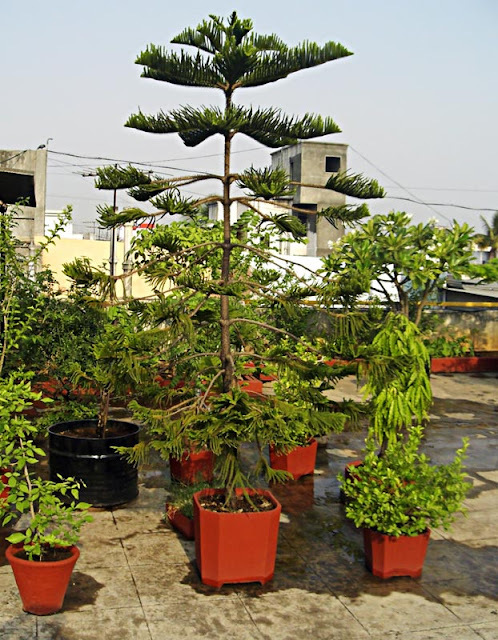 The first one is of the Gular, the bonsai of a tree commonly found tree in North India and Kashmir and of the same species as Banyan. 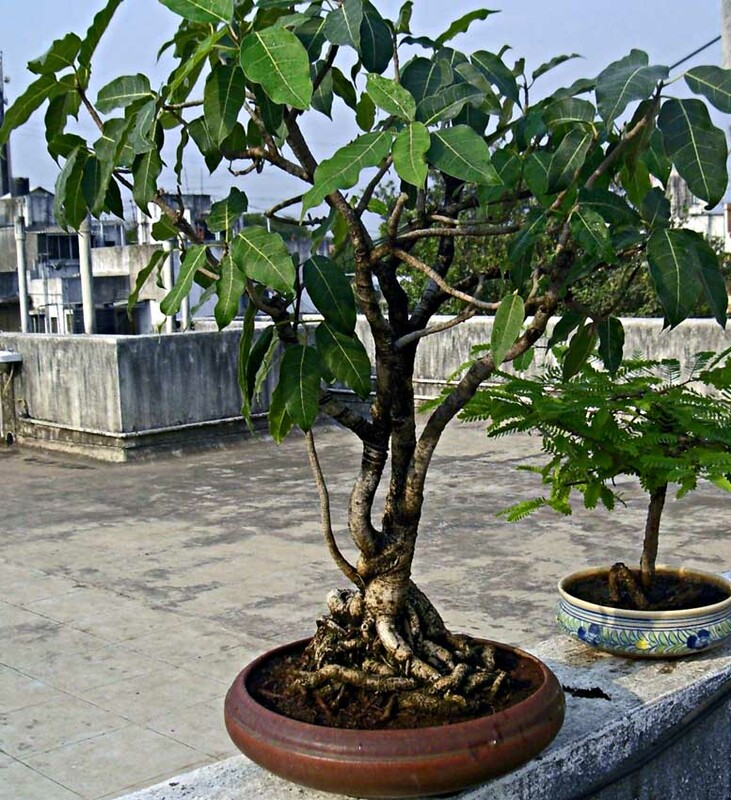 In the background to the right is a bonsai of a tamarind tree. 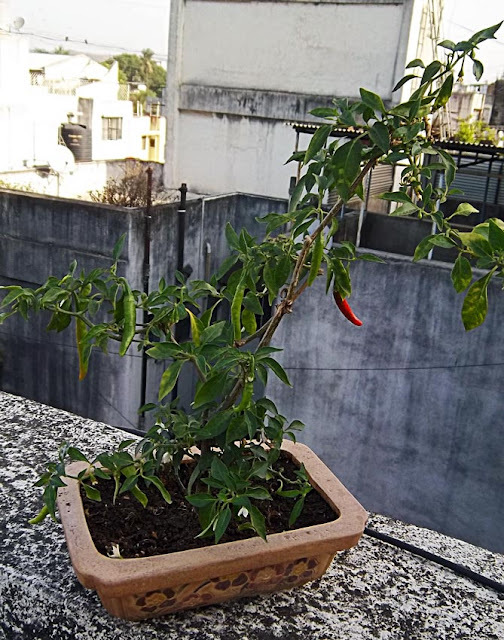 A bonsai plant of a chillies tree. A single red chilly can be seen brightening up the picture. A maxi-bonsai plant of a Christmas tree.